Order your Crane Treble Clef Notes 10/10 today from FahrneysPens.com. Fine Pens, Refills & Luxurious Gifts – great prices & fast shipping. The creak of an opening mailbox? Music to our ears. 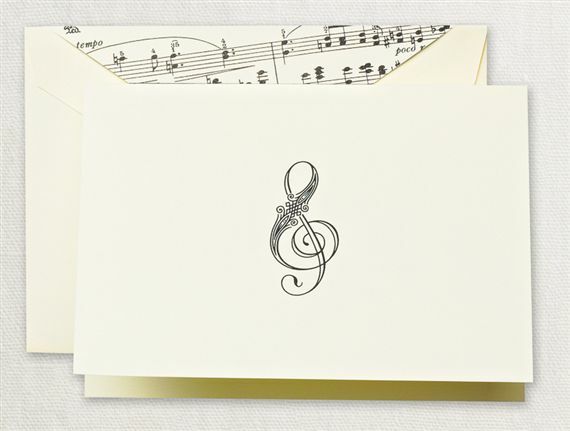 Especially if this lovely note, with a delightfully illustrated black treble clef symbol on thick cream paper, is tucked inside. 4 x 5 1/6 inches. 10 notes & envelopes.